Enter the class name "Movie". 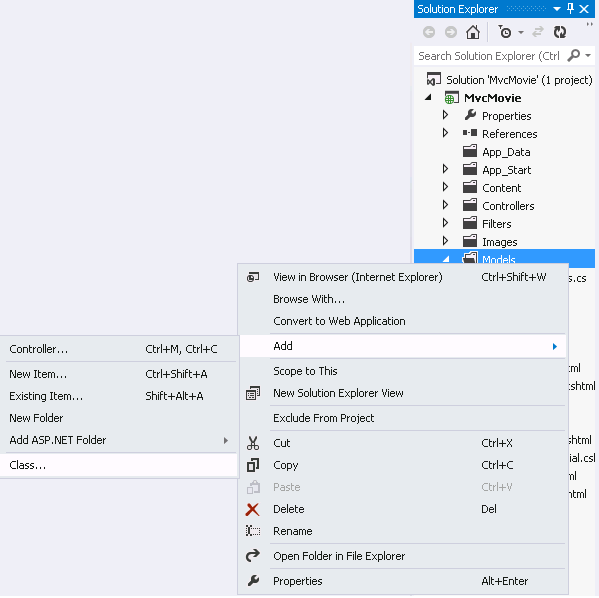 The MovieDBContext class represents the Entity Framework movie database context, which handles fetching, storing, and updating Movie class instances in a database. 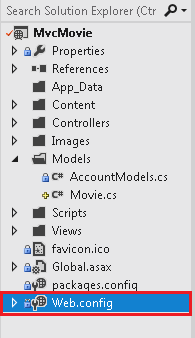 The MovieDBContext derives from the DbContext base class provided by the Entity Framework. Open the application root Web.config file. (Not the Web.config file in the Views folder.) Open the Web.config file outlined in red.